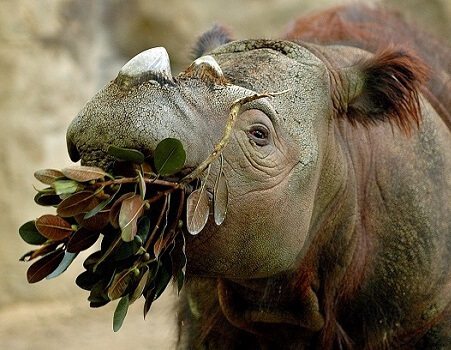 The Sumatran rhino is the smallest of all rhino species. It’s a two-horned rhino, covered with hair and is the closest living relative of the woolly rhinos from the ice age. Two-horned hairy rhinos have lived for millions of years and once roamed across most of South-east Asia, from southern China to the islands of Borneo and Sumatra. But today, the Sumatran rhino is tragically close to extinction. Less than 100 are left. In Indonesia, there are probably fewer than 80 individuals, with seven in managed facilities, and others scattered across the wild in at least six sites. While in Malaysia, the situation is even more dire. There are only three Sumatran rhinos left, and they are being cared for in the Borneo Rhino Sanctuary, located in Sabah. Due to a thousand years of relentless hunting throughout Asia for their horns, Sumatran rhino numbers were severely depressed by the early twentieth century. 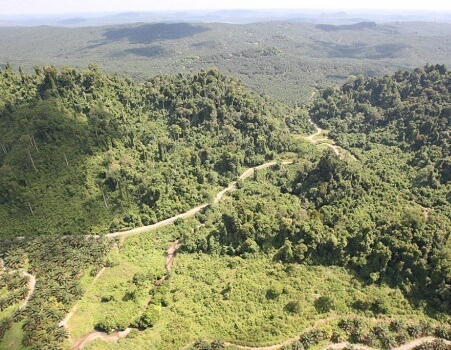 Habitat loss from human population growth and farming further affected the population. But these two problems have combined to create a different threat – a lack of breeding. There are now too few rhinos left, and they are scattered across the wild. Unable to find each other, there is no breeding. This results in a severe decline of rhino births. And over the past century, the annual death rate of the Sumatran rhino has far exceeded the birth rate. Pushing the Sumatran rhino right to the edge of extinction. The traditional conservation measures of awareness, reducing poaching and focussing on wildlife habitat protection are far too late. The Sumatran rhino is about to go extinct because there are not enough rhinos left in the world to breed naturally. What is BORA doing to save the species? One thing is clear: if this rhino is to be saved from extinction, there has to be just one programme, with each rhino managed to help it produce babies. BORAʼs mission has seen them bring in rhinos from the wild, into their captive breeding facilities with the sole goal of producing baby rhinos. But with the female rhinos found to have reproductive pathologies, natural conception is not possible. As the situation is so dire, BORAʼs focus will be on advanced reproductive technology – with an emphasis on making embryos in the laboratory by in-vitro fertilization. 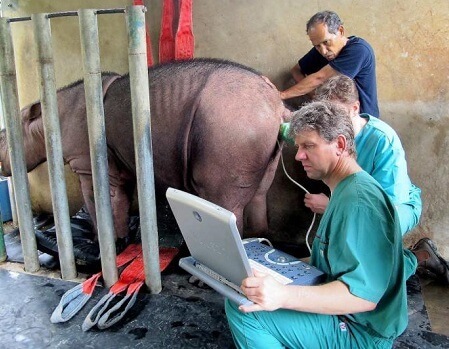 Teaming up with experts from Germany, Italy and Indonesia, experimental attempts are underway to create the worldʼs first test tube Sumatran rhino embryo and implant it into a viable surrogate.